The power of the platform. The power of the platform. 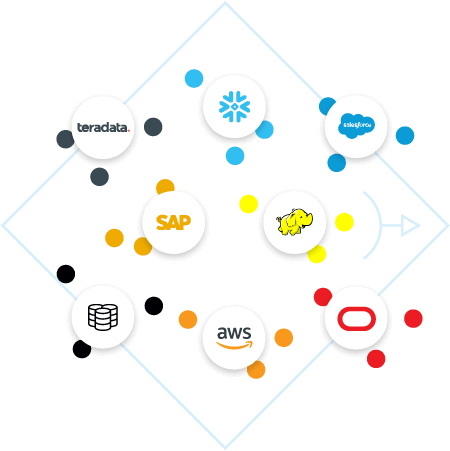 Seven enterprise-scale systems working together to connect your business and drive smart decision-making. Seven enterprise-scale systems working together to connect your business and drive smart decision-making. Domo helps reimagine how business can be done with data. Make the most of your existing IT infrastructure. Your business-critical data is stored in many systems. 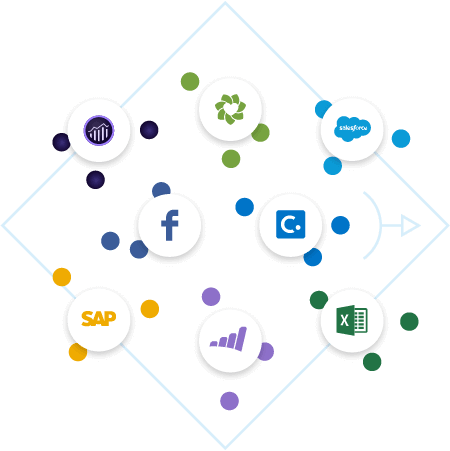 Connect and combine from all of your systems into Domo and get actionable insights in seconds. Integrate systems, get unlimited scale, and govern your data with flexible yet rigorous controls—all with rapid time to value. No matter where your data lives, access it all in Domo. Quickly and securely connect data. Link, merge, and access your data with Domo as the hub between all your systems. Get up and running in days, not months, with 600+ turnkey connectors and a library of flexible universal connectors. One source of truth. 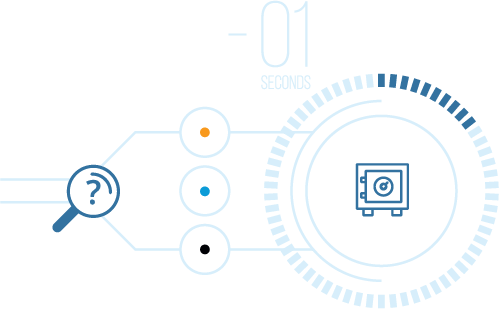 Domo’s data platform gathers all of your data together in one robust system, no matter where it currently resides. Get the latest data. Your data is automatically updated with Domo, so you never have to worry about stale data. Bi-directional data exchange. Set up bi-directional integration to any source. Choose from flexible connection options. 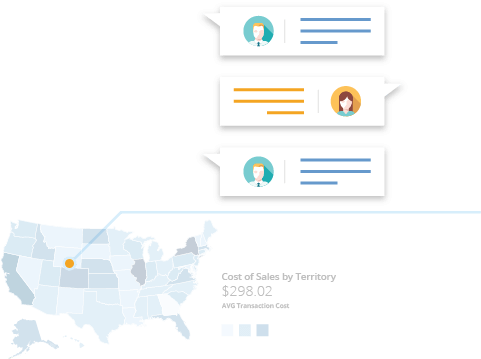 Domo connects to data in the cloud, on-premises, in a flat file, in proprietary systems, or all of the above. Federated queries. Use federated queries to avoid duplicating data. A global CPG manufacturer is using over 40K connectors to create one living source of truth. Store your data for those who need it, when they need it. Securely store your data for fast queries. No more waiting for pages to load or reports to run. With Domo’s intelligent data warehouse, all your data is instantly available on any device. Domo’s live cache layer delivers sub-second query responses, even against 40+ billion rows. See real-time insights. Turn data into actionable insights for every employee, with visuals tailored to each person’s needs, and instant collaboration to spark conversations. Govern your data. Your data is always shown to the right person, at the right time, with Domo’s comprehensive security and data governance features. Access scalable architecture. Our Massively Parallel Processing architecture combined with dynamic scaling means your solution scales automatically. The best in data security and governance. Domo’s security and data governance features govern access to specific data, down to the row and individual level. Store billions of rows. Safely store and query billions of rows of data and deliver answers to everyone in the company in an instant. 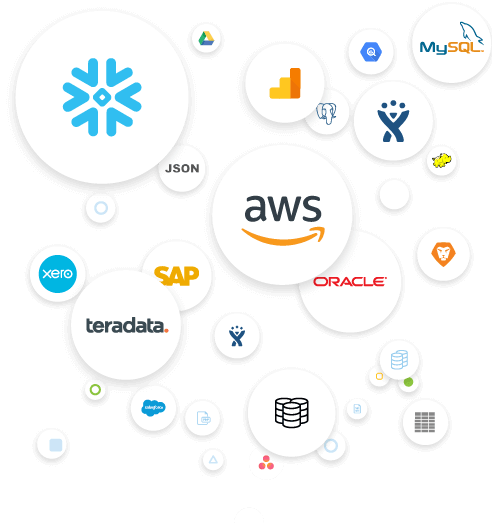 A major global retailer has over 1.2 trillion rows of data available in all of the combined datasets in Domo. Simplify the ETL process. Choose from flexible ETL options. Domo’s drag-and-drop Magic ETL makes it easy to combine and transform data sources, with no coding experience required. Use Domo’s native data transformation tools to build your data pipelines, whether you have SQL expertise or not. Visualize your flows. With Magic ETL, visually sequence and define data sources and actions to combine and enhance your data, with no need to learn SQL. Keep your data current. The system takes into account new changes to your dataset each time it runs a dataflow. Data science delivers metrics. Use our data science actions or write custom R or Python scripts to prepare data for predictive modeling. Personalized transformation options. Create transforms with our simple drag-and-drop interface, or use SQL custom queries with the built-in Domo SQL editor. Get alerts in real time. Receive alerts when data transforms fail. Deep data science. Write custom R or Python scripts, or use our data science actions to prepare data for predictive modeling. Reallocated 20% of their time from data prep to data analysis. Identify insights in real-time. Identify insights in real-time. Take your data from raw to visualized and get to insights faster. 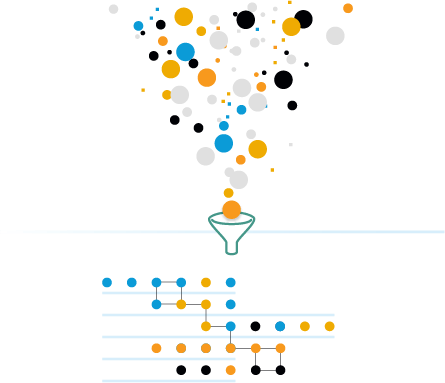 Take your data from raw to visualized and get to insights faster. Quick, accurate insights. Go from data to charts in just minutes, and customize data and charts to get the most out of the real time data stored in Domo. Data stories spells it out. 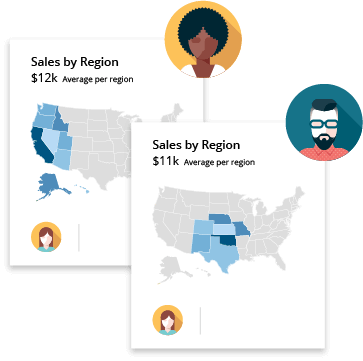 Customize your visual layouts to tell a story about the data, with sizing options, colors, explanatory text, and images. The best in governance. Ensure that the right people have access to the right visualizations. In their first year, Telus created more than 42k cards, each answering a different business question. Share and discuss data insights. Share and discuss data insights. Collaboration and productivity tools are built directly into the Domo platform to enable immediate conversations about the data you’re seeing. 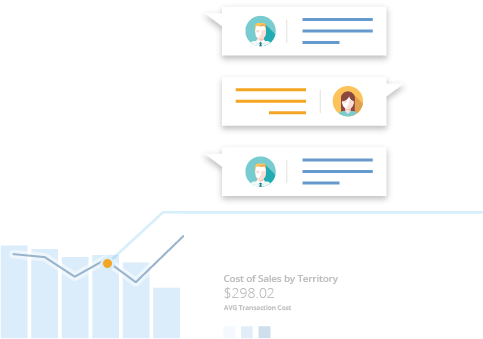 Collaboration and productivity tools are built directly into the Domo platform, and enable immediate conversations about the data you’re seeing. Chat to collaborate. Create team channels, start team conversations, and discuss the data and insights you’ve discovered. Count on scheduled reports. Get visualizations delivered to stakeholders’ inboxes at specified times and link directly to Domo to view the data. Streamline with business process tools. Use tools for routing content certifications to streamline the number of systems and processes you use. Cisco has more than 1,200 marketers around the world collaborating in Domo. Make proactive decisions with AI and alerts. Make proactive decisions with AI and alerts. Get deeper insights with custom or prebuilt apps. 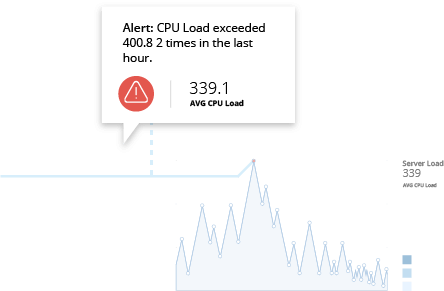 Domo’s AI technologies and robust alerts provide you with information to stay one step ahead of your business. Custom alerts and notifications. 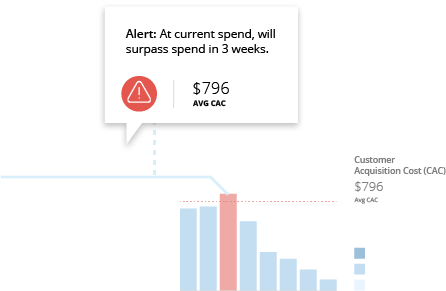 Set up your own alerts to get notifications on your computer or phone when KPIs deviate from your threshold. Build with predictive analytics. 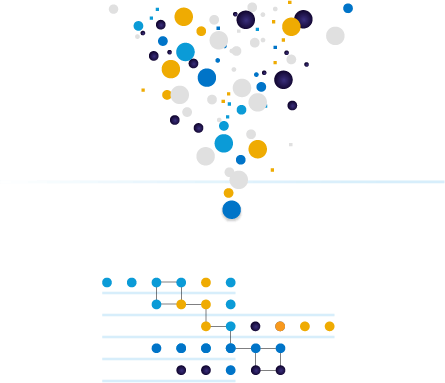 Even if you aren’t a data scientist, use Domo’s data science functions to prepare data and create predictive models. Data prep made efficient. Use our data science diagnostic, data profile, and data cleansing tools for more efficient data prep. A major manufacturer and retailer of sportswear has over 10K users per day using a customer app built on Domo. Answer the right questions. 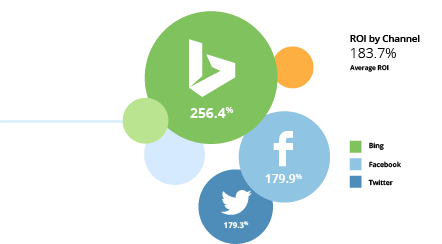 Get deeper insights with custom or prebuilt apps. Domo’s AI technologies and robust alerts provide you with information to stay one step ahead of your business. Domo’s AI technologies and robust alerts provide you with information to stay one step ahead of your business. Answer specific business questions. Our library of apps provide industry-specific metrics and insights based on best practices. Use prebuilt dashboards. Use our Quickstarts to see prebuilt visualizations for the most common data sources. Make custom apps. Create custom apps for your business use cases. An open app ecosystem. Access apps built by partners and developers around the world. Create custom apps and connectors. Build apps for your business, or make them available for community access. A diverse connector library. 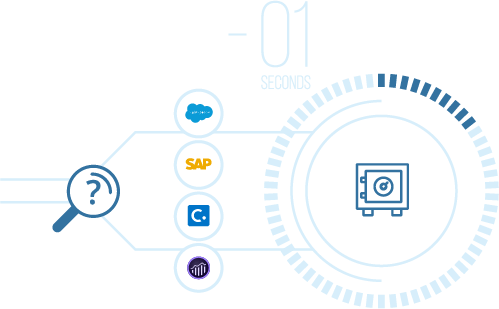 Connect your data quickly with our collection of over 600 pre-built API connections. Rest easy with Domo security and data governance. Rest easy with Domo security and data governance. Bring Your Own Key (BYOK) data encryption features encryption keys that change three times as often as other encryption keys. Control data access with personalized data permissions at an individual-user and row level. Grant access by role with SSO and Active Directory integration and manage permissions at scale with APIs. Domo’s cloud operating system offers the best in security and governance. Try Domo now or watch a demo.